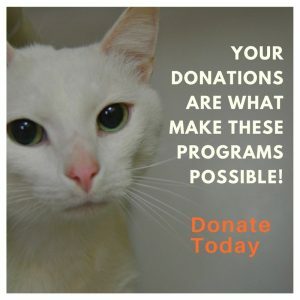 The Brown County Humane Society, Inc. (BCHS) was organized in 1966 when several civic minded individuals realized that the animals in Brown County were in need of a voice. For several years they rescued abandoned and abused pets, fostered them in their own homes and worked to find loving permanent homes for these displaced pets. They went about educating fellow Brown Countians about responsible pet ownership, spaying and neutering and they provided a clearinghouse for lost and found pets. During these years this group of dedicated volunteers worked tirelessly to raise money in order to fund an animal shelter. Finally in 1977 the BCHS leased a building and opened the doors to Brown County’s first animal shelter. This arrangement worked until 1982 when the lease expired. Again the society was back to placing animals in foster homes and working hard to raise money for a permanent animal shelter. In 1986 a generous BCHS member donated 6 acres of centrally located land with a barn to the BCHS and enough money was in the bank to construct a new animal shelter. The current Animal Shelter opened on January 5, 1987. In 1988,the BCHS was successful in getting an Animal Control Ordinance passed in Brown County. Shortly thereafter the BCHS reached an agreement with the newly formed animal control board to provide a place for animals retained by the animal control officer. In 1992 the barn was renovated and fencing erected. The BCHS could now provide shelter for abused and homeless large animals. Exactly 13 years after first opening the current animal shelter, on January 5, 2000, construction on major additions to the shelter began. This renovation included adding additional dog kennels, isolation rooms, a ‘meet a pet’ room and a larger lobby/office area. These programs have dramatically decreased the number of pets euthanized. We have increased our “Save Rate” rate from a normal of about 30% prior to 2000 to an incredible 95+% since 2010.